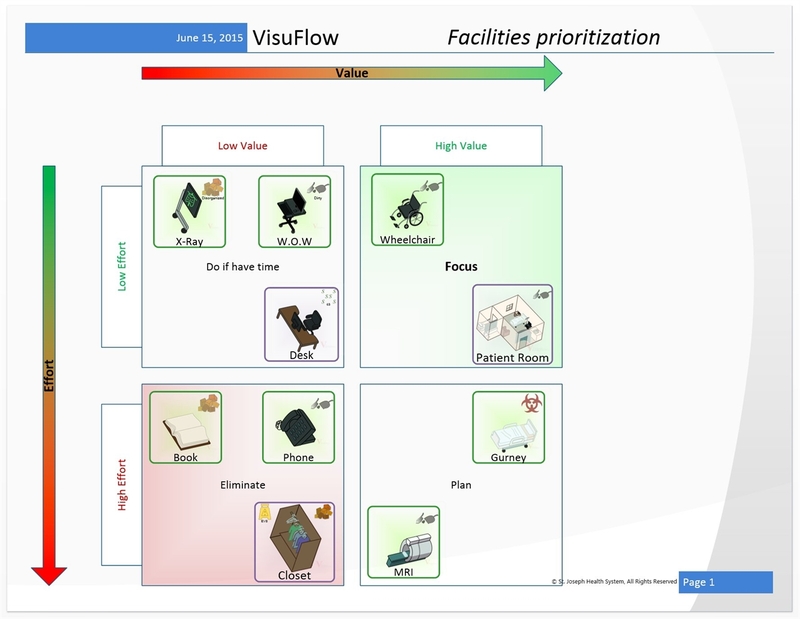 VisuFlow is an innovative set of stencils and templates for Microsoft Visio that significantly eases the task of creating process and workflow diagrams of complex processes in hospitals and other healthcare facilities. Traditional methods for documenting a complex processes and workflow do not translate well into the healthcare setting for hospitals and medical facilties. 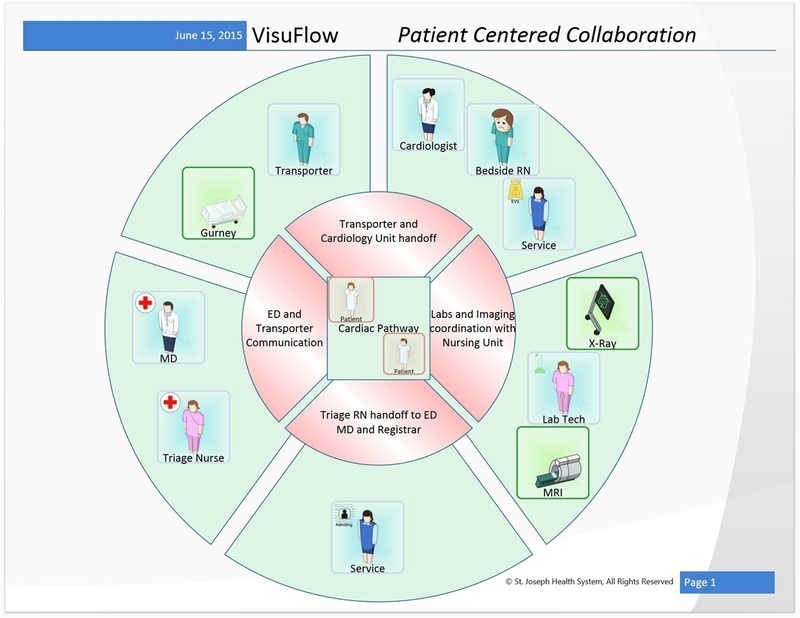 VisuFlow includes a collection of healthcare centric shapes, stencils and templates for use in Visio. The shapes include symbols for people such as doctors, nurses, and patients, as well as a comprehensive set of equipment symbols. These tools will simplify the task of documenting and communicating healthcare operations to a diverse audience. 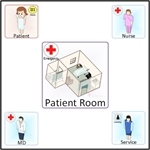 Collection of intuitive, healthcare specific Visio shapes and stencils that can be used for documenting and communicating complex healthcare processes. Combinations of these shapes and attributes allow the user to create myriad of custom shape permutations to accommodate any healthcare process. Aid in developing documentation and training materials that support internal process improvement initiatives. What are the Benefits of VisuFlow? Easily track acuity, adoption, collaboration, facilities and patient experiences across the healthcare continuum. Connect external data to your shapes and rapidly communicate process changes within your healthcare environment. 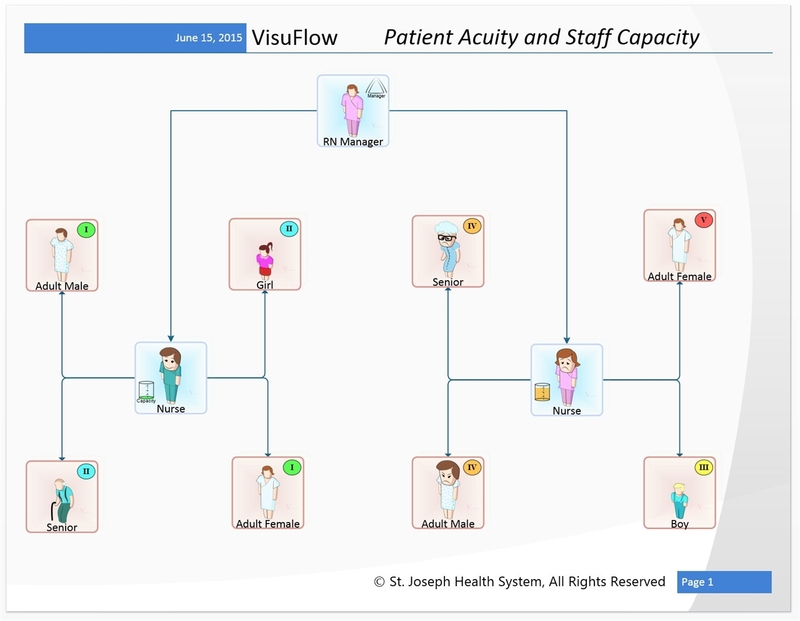 VisuFlow leverages linked spreadsheets to annotate your process with pertinent information. 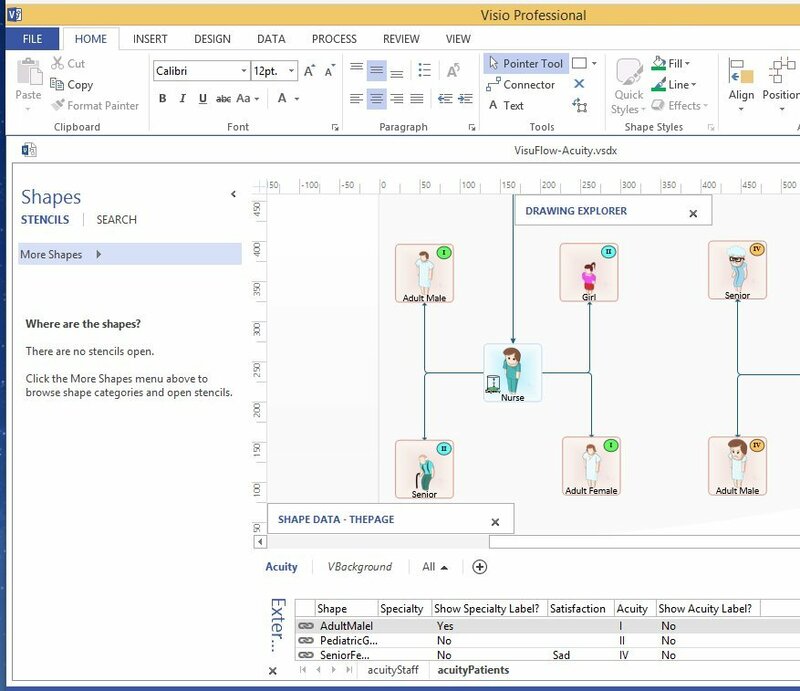 How to use VisuFlow with Microsoft Visio?